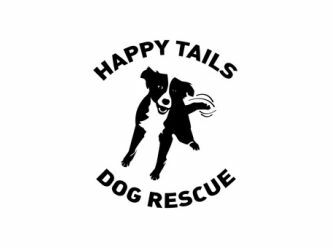 Happy Tails Dog Rescue is a small rescue group which operates in Melbourne’s Northern suburbs. We are dedicated to rescuing and rehoming dogs which are surrendered to us (for whatever reason) and work on matching the dog with the best suited new family. When contacting us to surrender your dog, please note we will need to complete a temperament assessment to assess if your dog is rehomable and what the best type of home would suit. Along with surrendering your pet, donations of their belongings would be great and we will need all vet work certificates if you have them. All dogs we rehome will be desexed, microchipped, vaccinated and up to date with worming and flea treatments. 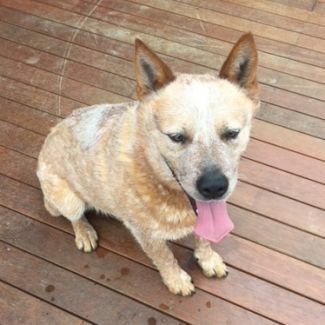 Bluey is a 4 year old male Red Heeler who would make a wonderful companion for a special person. When he first came into our care, he was unsure of new people, but is daily gaining confidence and showing his true lovable personality. He needs a very special owner who can continue on his rehabilitation, be firm and a confident leader. An owner that is patient and who has previously owned dogs that needed work and a second chance at life. The owner would need to be experienced in working with rescue dogs and understanding the need for routine and continue on with training. He will need plenty of exercise and loves to play ball. He loves just being with you and is very affectionate but can be boisterous, however, he is learning what “calm” means. He loves the water and his paddle boy and would be very happy to chase the ball while you work in the garden. He requires a large property (acreage) to run around but with no other animals or no access to other animals. He is not suitable to a home with other dogs or pets. Bluey will be a four week trial and is currently located in Melbourne northern suburb. Bluey’s description of himself and what he would like in a new family:- “I have had a rough time in my short life so I need a home where I can feel safe and continue to build my confidence and learn what nice doggy manners are. This means I am only suited to a home with no children or other animals. I spent the first two years of my life locked in a small enclosed space without the exercise I required. I was rarely walked on lead and never travelled in the car. I am behaving much better on lead but am terrified of the car. I can only travel in the car in a secure wire crate and only for short trips. With continued rehabilitiation I hope to improve in this area. In my first two years of confinement I learnt to entertain myself by barking and chasing the leaves and grass on a windy day. I can still do this at times but now that I get plenty of exercise I don’t do this as much as I used to. Despite my past, once I get to know and trust you, you will love spending time with me. I’m affectionate and will love spending time with you. I have some lovely manners, I sit for my meals and treats, I come when I am called and I never leave the property without you. When I am doing something wrong or get a bit silly and over excited, I only require a verbal correction to tell me I’m doing something wrong. I can be very boisterous, especially when meeting new people. I need my human to understand this and have people let me get comfortable with them before they can pat me. I am ready for my forever home, where my humans will love and understand me and are willing to work with me on my issues. In return my human will get so much love and joy from me.” If you would like to meet him please email us with these questions answered and then we will phone you. 1. Describe your home environment. 2. How many family members? Are all family members in agreement of getting a dog? 3. Have you previously owned dogs? If so, what breeds? 4. Describe your property? 5. Do you currently have any other animals? 6. What are your current vet details. 7. What type of exercise will the dog get? 8. Where will the dog sleep? 9. How many hours a day will the dog be alone? 10. Are you prepared for the work involved in training/rehabilitating the dog?